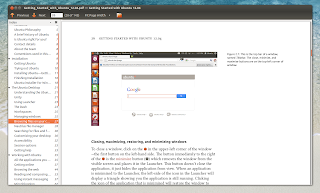 Getting Started with Ubuntu 12.04 is a free, open source licensed, 143 page guide for Ubuntu beginners that makes everything very easy to understand by using clear, step by step instructions and many screenshots. The book tries to cover all the basics: from which Ubuntu version to download and how to try it out or install it, to how to connect and use your printer or a troubleshooting guide. 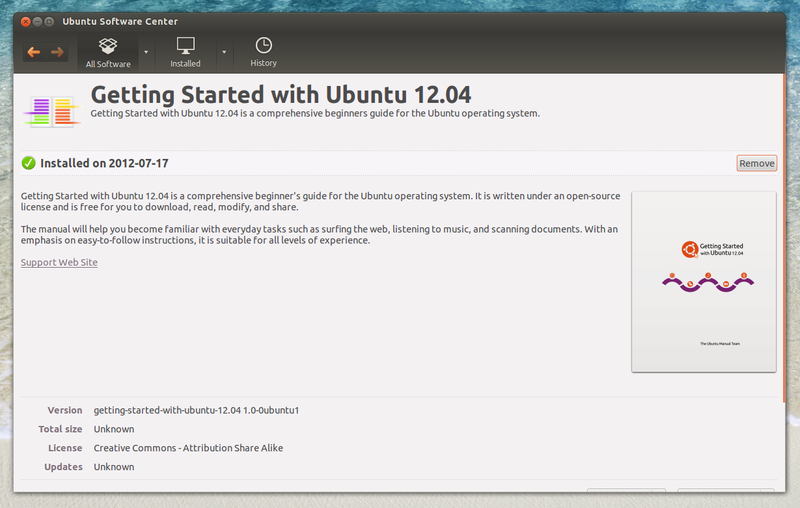 The manual even explains the Ubuntu Philosophy and includes a brief history of Ubuntu. 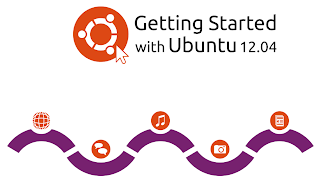 Obviously, the Getting Started with Ubuntu 12.04 manual focuses on the desktop / Unity and here, everything is presented in detail: what various parts of Unity are called and what they do, how to use the launcher, Dash, managing windows and workspaces and so on. 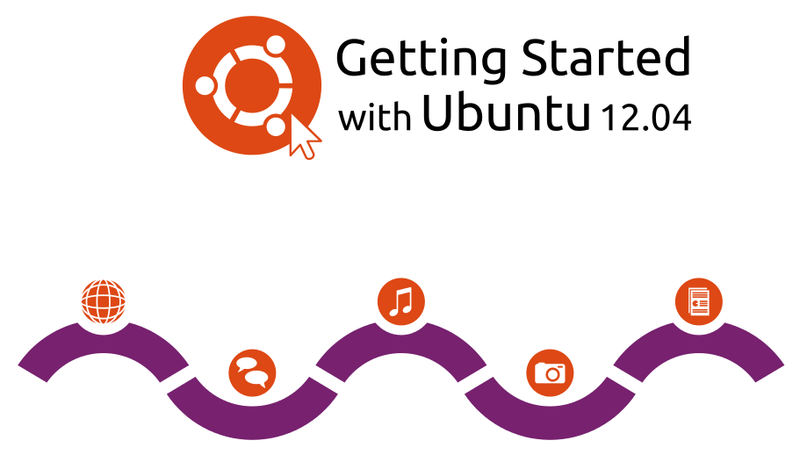 The manual also presents some basic tasks like browsing the web, using instant messaging, setting up an email client, burning CDs and DVDs, watching videos or listening to music and so on, along with the applications to use for these tasks, which should be very helpful for new Ubuntu users. 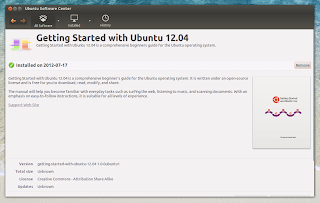 Getting Started with Ubuntu 12.04 has been added to the Ubuntu Software Center today, so if you're using Ubuntu 12.04, you can install it by simply searching for "Getting Started with Ubuntu" in Ubuntu Software Center; a Launchpad account is needed to install it though. Once installed, search for it in Dash to launch it. 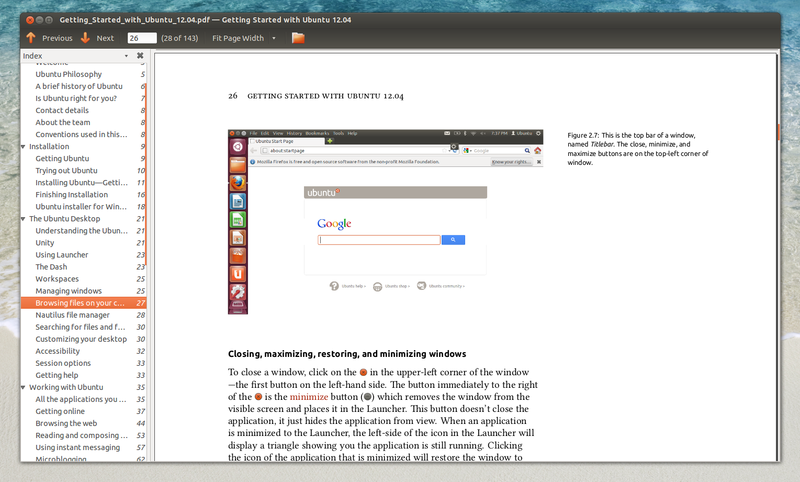 The manual is also available for download for free via http://ubuntu-manual.org/ (as PDF or you can buy the book).